TMD, often referred to as TMJ, or temporomandibular joint disorder, is a term used to describe a group of symptoms including headaches, facial pain, jaw pain, sore, chipped, broken, or worn teeth, clicking or popping in the jaw, and limited jaw movement. In many cases people suffering from TMJ / TMD report chronic pain in the jaw, teeth, face, head, neck, shoulders, or back, or any combination of these areas. Snoring, grinding of teeth, frequent ear infections and restricted airway are other problems associated with TMJ / TMD. 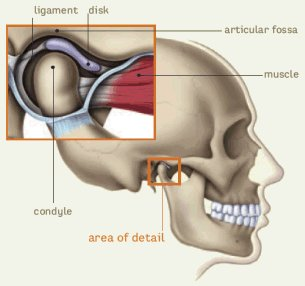 This group of symptoms is also referred to as MPD (myofascial pain dysfunction) and craniomandibular dysfunction. What can be done to treat my pain or other symptoms? Dr. Ann Soberay's training at The Las Vegas Institute for Advanced Dental Studies and The American Academy of Facial Esthetics means that you have options. It is often recommended to start with 3D Imagingto visualize what the your joints look like. From there a custom tailored plan can be created. -Botox Therapeutic for Headaches and Neck Pain?! Is Botox Therapy right for me?